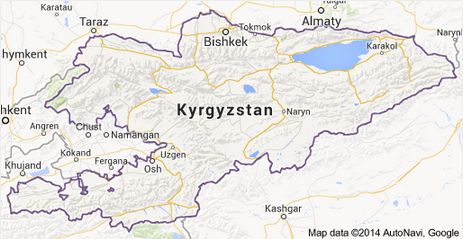 Kyrgyzstan is located in southeastern central Asia. The official languages are Kyrgyz and Russian. About half of the population is under 25 years old. The largest ethnic groups are Kyrgyz, Uzbek and Russian. 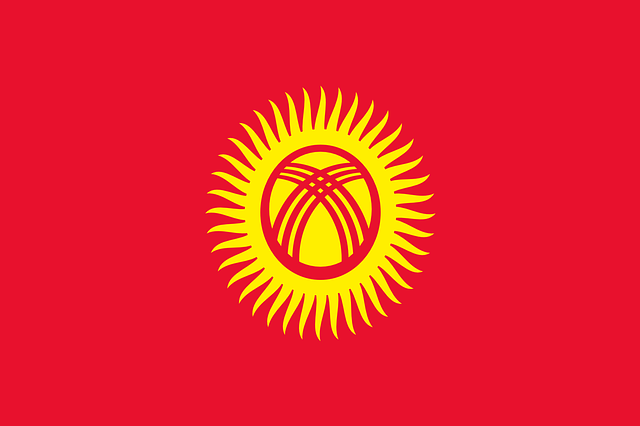 Kyrgyzstan implemented market-based reforms in the 1990s. The country's economy is centered around agriculture and migrant Kyrgyz workers living in Russia, both of which combined account for nearly 50 percent of the country's economy. In 2011, the Kyrgyz economy grew 5.7 percent. The World Bank projected Kyrgyzstan's growth at 10.5 percent for 2013 and 6.5 percent in 2014, according to The Soufan Group. Approximately one-third of Kyrgyzstan's people work in the agricultural sector. Agriculture accounts for 25 percent of the economy. The mining sector contributes more than one-fourth of tax revenues and equals about 10 percent of GDP. Half of the country's income from exports is attributed to mining. The country experienced significant economic reforms since gaining its independence in 1991. Those reforms include reducing subsidies, membership in the World Trade Organization, and creating a value-added tax (VAT) system. The country has abundant water resources and is recognized by experts as having significant potential in hydropower development. The country's main agricultural resources are wool, tobacco, cotton and meat. Industrial exports include mercury, gold, natural gas, uranium and electricity. The second largest gold mine in the world, the Kumtor gold mine, is located in Kyrgyzstan. Kyrgyzstan imports most of its energy resources. Kyrgyzstan was the first country within the Commonwealth of Independent States (CIS) to get accepted into the World Trade Organization. Kyrgyzstan has had four presidents since gaining its independence from the Soviet Union. Almazbek Sharshenovich Atambayev is the current elected President of Kyrgyzstan and is a member of the country's Social Democratic Party. In a peaceful transfer of power, Atambayev was elected in 2011. In September 2012, Russia agreed to write off Kyrgyzstan's debt to Russia. In exchange, Kyrgyzstan initially extended Russia's lease on the Kant air base. However, Atambayev has said that the lease will expire in 2014. Kyrgyzstan and the United States established diplomatic relations in 1991 following the dissolution of the Soviet Union. The U.S. considers Kyrgyzstan a strong partner, according to the State Department. The country has assisted the United States by hosting the Transit Center at Manas International Airport, a hub for transport to Afghanistan.